Имате въпрос към Koh Munnork Private Island by Epikurean Lifestyle Hotel? При посещение в Районг, в Koh Munnork Private Island by Epikurean Lifestyle ще се почувствате като у дома си, защото предлага квалитетно настаняване и отлично обслужване. Този 3-звезден хотел е леснодостъпен, тъй като е само на 180 km от летището. С удобното си местоположение хотелът предлага лесен достъп до всички градски забележителности, които задължително трябва да се видят. Koh Munnork Private Island by Epikurean Lifestyle прави всичко възможно гостите да се почувстват удобно. Затова хотелът предоставя най-добрите услуги и удобства. Най-важните съоръженията на хотела са Wi-Fi връзка в общите части, паркинг, ресторант, екскурзии, мокър бар. Атмосферата на Koh Munnork Private Island by Epikurean Lifestyle се усеща във всяка стая. Удобства като стаи за непушачи, климатик, балкон/тераса, вентилатор, интернет достъп (безплатен) са само някои от даденостите на обекта. Хотелът предлага прекрасни развлекателни съоръжения, такива като шнорхелинг, частен плаж, открит басейн, гмуркане, риболов, които ще направят престоя ви незабравим. Насладете се на несравнимото качество на услугите и престижното местоположение на Koh Munnork Private Island by Epikurean Lifestyle . 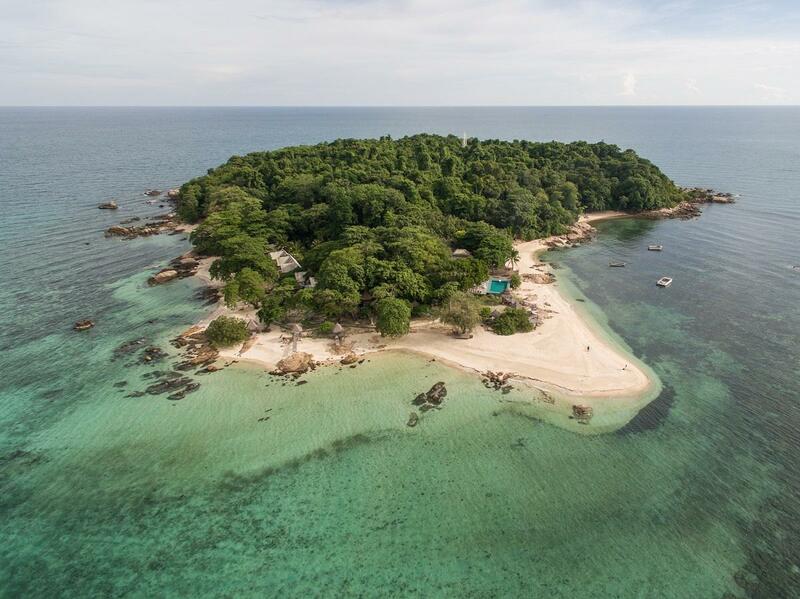 Koh Munnork Private Island by Epikurean Lifestyle Hotel is located on Koh Munnok which is a private island and requires boat transfer in and out. It takes around 45 minutes from mainland. Please be informed that the room rate is including Boat Transfer Roundtrip From/To (Leam Tarn Pier (Rayong) – Hotel – Leam Tarn Pier (Rayong). This is not a private transfer, as it is joined up basis. The hotel will reserve boat transfer, but guests are requested to arrive at Leam Tarn before 12.00 PM. From the pier to the hotel: Please standby at Leam Tarn Pier at 12:00 PM (noon). The hotel representative will be waiting and holding a sign board at the pier. From the hotel to the pier: Guests will be picked up at the hotel, and boat departs at 3:00 PM. If guests fail to arrive at the mentioned time, the hotel will not be responsible for any additional transfer cost or refund. Should you need further detail or special arrangement, please contact the hotel representative. The property does not provide any room service. The electricity is not available from 09:00 AM to 01:00 PM.The reception area will still have electricity for your usage. 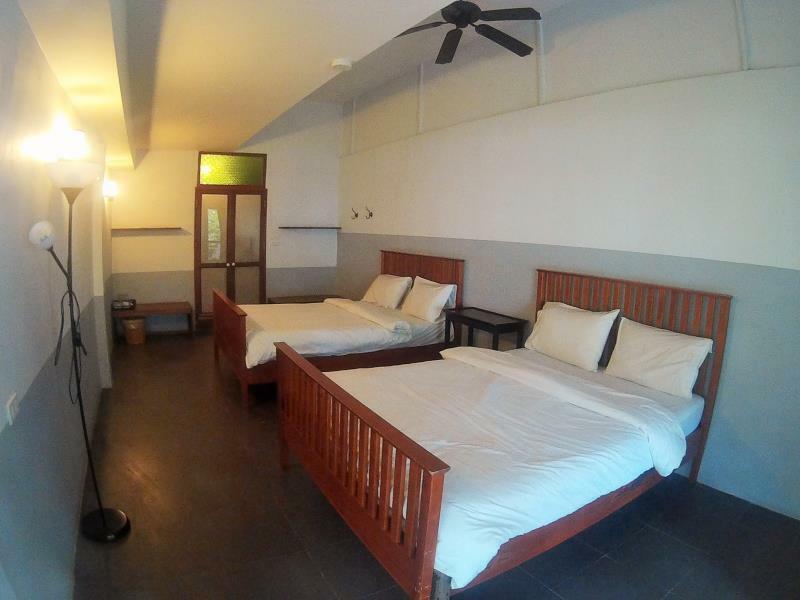 Pets are allowed for an additional charge of THB 1000 per night per pet and additional THB 2000 for second pet. Guests with any dietary needs or restrictions are advised to notify the property. Отдых - супер. Хочется приехать еще. A stunningly beautiful island with incredible beaches and clear water. 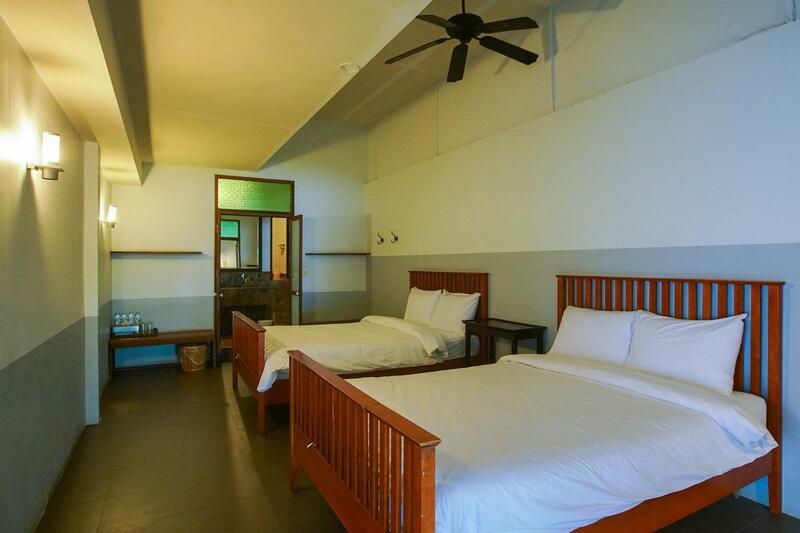 Perfect location for a short getaway from Bangkok. I love this resort, but I just wish the owners could invest a little bit more in terms of staff training, upkeep and facilities. Service ranges from great to acceptable. Rooms are a bit tired and very bare. They also lack some key basics for a hotel of this price point e.g. no fridge, no safe, no kettle. Breakfast is repetitive and would benefit from some simple changes: adding fruit, better quality bread, proper coffee. The restaurant food is fine but they often run out of key ingredients as early as 7pm - one night there was no fish at all. Having said all this, we will be back and my children adore this island - perfect for beginner snorkelling and a lazy few days away in paradise. I live in hope that each time I return, some gradual improvements will have been made. Room: Beach Front Villa. Room is quite new. The villa is next to the beach. Just open the door with a couple step to enjoy the beach and sea. Air-conditioner doesn't work well. Location: Due to the distance from the shore, the sea is very clean and clear. No crowded peoples. Staff: Excellence service. F&B: Fresh Seafood and high quality. I was so worried with negative comments here but the place turked out great, beautiful and quiet as we expected. This place is more suitable for open minded and nature lover; if u expect 5 star resort facilities, this is not for you. Coming here almost every year for 15 years , we see the island become dirtier and the charm disappearing. While in the early years exploring the island was encouraged, it is now forbidden to walk around the island. If you peak over the fence, you can see why: It has become a dump site for garbage washed on from the sea. No efforts are made to clean up the island. Staff keeps changing every year, with very little attention to detail given. Repair work is ignored and cleaning is kept to a minimum. With the way this island has been managed the last few years, we are greatly concerned about the future of this beautiful place. Second time here and everything's still very good, hope to be back again soon! The resort is very beautiful with white sand and crystal sea. There are many places on the island to relax and take photos Full board package is not including to all kind of drinks. Price of Non alcohol and alcohol drink approximately 200-400THB. Telephone signal is quite slow for people to enjoy the view. This was a great weekend holiday escape. The beaches and beach huts were amazing. The accommodations are acceptable. My only real comment is that they should just make this room and board only. There is only 1 restaurant so they should just do a breakfast and dinner buffet to make everyone's lives easier. Also would be nice if there was some fruit for breakfast or kids offerings. 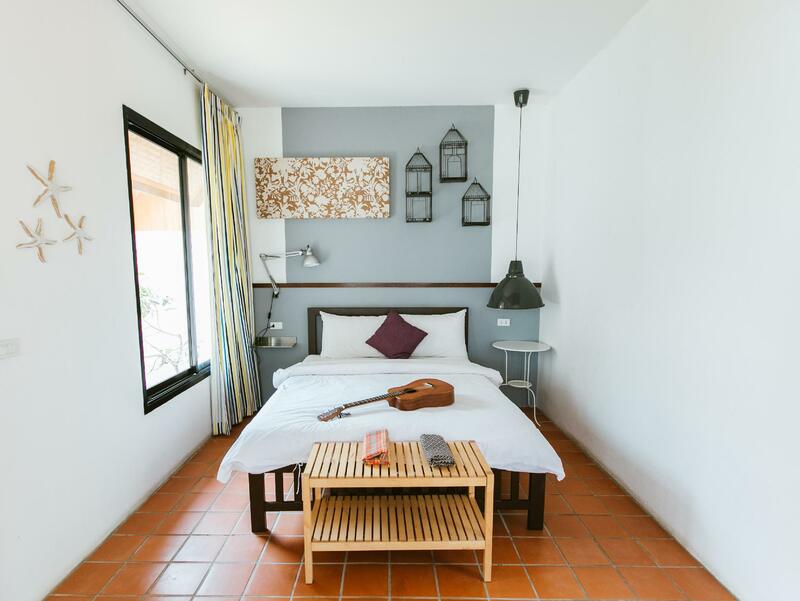 Third stay at Koh Munnork, if you like a bit of peace and relaxation a short stay here takes some beating, a real Robinson Crusoe style existence, beautiful resort, beautiful beaches, clear water AND a swimming pool on this remote island. Loved it. Second time I have stayed here, not for everybody but if you like a 'Castaway' experience you wont get better than this. For a short break and total relaxation you wont get better than this. Superb. Food very average but taking into account the type of location I can accept that, you go here for the remote location, outstanding beaches and the great experience, great pool, good accommodation, yes I love it and will return. If you want a bit of seclusion, a bit of paradise away from mass tourism, bit of Robinson Crusoe then this is it. I loved it, superb. You can find fault in anything if you try but I would like not to try with Koh Munnork. Loved it and will be back. We were very pleased that we chose the island to be our honeymoon destination. It's only a few hours drive from Bangkok. And when we arrived there, we truly did enjoy the breathtaking views of the sea. The white sandy beach was clean and we were able to swim in. The best part for us was the privacy of the location. You can only hear the sound of the sea and of your company with some odd crickets and geckos noises. We loved the bungalow we stayed. It was not very fancy but very comfortable indeed. Though the bathroom and toilet could be cleaned better. We spent most of our days in the little open-air hut in front of our bungalow by the sea doing nothing but relaxing. The staff there was friendly and willing to help. The food was delicious and not too pricey. Definitely recommend this place for those who seek relaxation and escape from busy life. This hotel is great for staying 3 days 2 nights, due to the limited choice of food, which is acceptable since the hotel is in the island. There are lots of activities to do there, and it's also the best to chill out on the beach. The staffs are very friendly and helpful. Overall, I would say it's a good place for escaping from stressful work. We Had a really nice and hopefully, not the last visit to an Oasis within easy reach of our home in Pattaya. The beaches and resort infrastructure were very good with excellent pool and reasonably priced drinks and food for such an isolated location. The food was of an acceptable standard, though not Gourmet, neither was the cost. All members of staff were very pleasant and we had no complaints about the room, apart from a very minor issue of the shower being cold. I may not have scored the resort as high as my praise but I tried to be accurate. If you like action this is not for you but for a beautiful laid back break from the hustle and hassle enjoy. Beautiful Beach only 3 hours drive from Bangkok. Limited food options but at least they tasted good. No food allow on the island even water. The hotel staff will take your food/water and keep it for you if you bring it to the island. This little restriction without knowing before booking kind of destroy our first impression since we got our food snatched away. Staff should smile more. Beautiful beach but not impress with service or staff. First impression is always everything. Having our food snatched away, we won't come back or recommend this to our friends. Surely ruined the vacation mode and got too upset to enjoy the environment. The water is clean but not as clear if you want to snorkel. Not too much carols to see. No wifi in the room just at the hotel reception. Quite inconvenient. If you want a place to get away and surrounded by nature without technology, this might be a place for you. The perfect place to relax and unwind. Quiet and serene. Friendly and helpful staff. Pristine beaches.